Some things just grab your attention out of nowhere. It had been a generally overcast afternoon, with scattered breaks in the clouds. 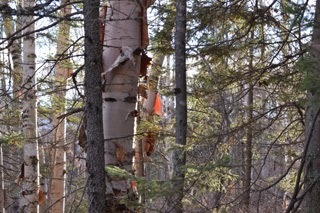 But the sun broke through while I was photographing in the woods, and it highlighted a scrap of birchbark, which normally looks opaque and pinky-beige. 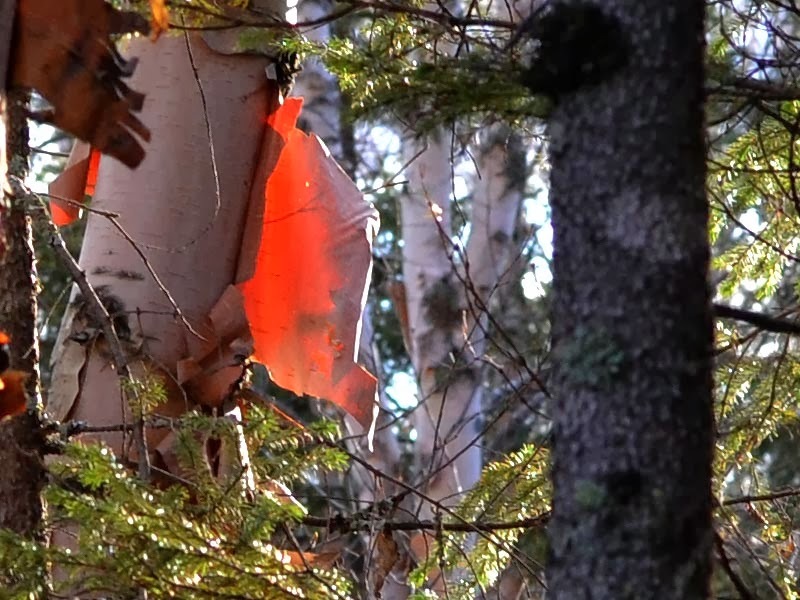 With the sun behind it, the birchbark was now glowing brilliant orange - and all I had to do was crop the image to make it into a fine color arrangement. Such good luck! Barbara, it's a trick of the backlighting sunshine - and it is gorgeous when it happens!